META M357TV2 (Revision 1) Thatcham MC1 Alarm / 2 circuit immobiliser. What we reckon: This is the latest development of the META bike alarms. The 357TV2 (rev 1) has the lowest of any of the warranty claims, (pro rata) on any of the alarms we have ever sold. The proven compact resin filled design assures the user of trouble free use and we guarantee that! We have extended our free ‘lifetime guarantee’ on this product. Features of the alarm are kept simple and the system self arms on the immobiliser only (programmable). Triggers for movement, seat contact switch and ignition are also featured. 2 keys are supplied and the icing on the cake as with previous META alarms, is one of them makes a key conversion system. Subject to suitablility. The sleep mode, which activates after 10days of non use, saves the bike battery from becoming totally discharged. A little known about programming facility means the owner can ‘customise’ the existence of self arming and ‘chirps’ when arming / disarming the alarm. A High Quality Cat. 1 motorcycle alarm / immobiliser. Updated and tuned version of the award winning, Thatcham approved M357T. Super high spec combined with great reliability. - Why Not Add A Tracker As well? Imagine a state of the art tracking and security system with the functionality and features of a fleet management tool - think Acutrac! This is, we believe, the smallest tracker on the market today - and it's 100% waterproof. This one can be hidden! (Some trackers are so large there's no where to hide them on a motorcycle - so the thief lifts the seat, finds it, throws it away.) Tracking is not anti-theft, it's post-theft. But we always felt that with all that technology available, it would be a shame if you couldn't use it for a bit of fun. The AcuTrac Premier device works on three principals, GPS, GSM and RFID. Also, the whole device can be configured from a web site - you have your own access codes for your device(s). Will work anywhere - worldwide - providing there's a mobile phone signal. GPS gives the best accuracy, and you can use the device to track yourself - speeds, directions, times and dates etc - great for touring holidays, those memorable trips, and of course, track days. But, like most things, GPS has it's limitations and there are times when it may not work too well. GPS has to 'see' the sky to get a fix on the satellites it needs to get a fix on. If it can't get a fix, it won't know where it is. In this scenario, a GSM location can be obtained - basically which mobile phone cell the device is in which will give an area location. An Active RFID will then enable an operator to pin-point where the device is. The device can be configured to give you warnings for movement, low vehicle battery, low back-up battery (internal battery in the tracker itself) and it also has two inputs (Premier only) that will give you warnings - from, for example, the vehicle (Thatcham) alarm or the garage door. Acutrac is a small device that uses a combination of location technologies to allow users to track the movement or position of their vehicle/asset via a dedicated ‘web-panel’. Users also have the ability via mobile phone, PDA or the internet to determine how the system is activated – manually or automatically for example if the vehicle/asset moves out of a pre-set area. 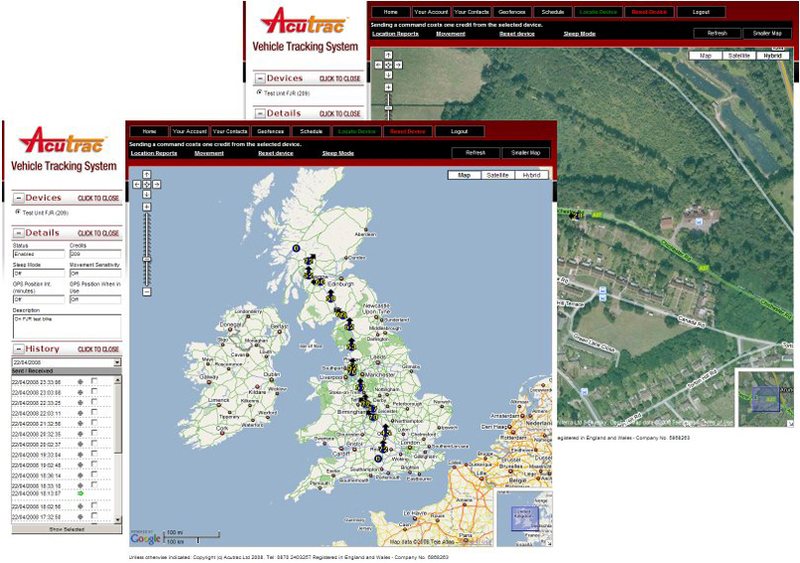 Acutrac can also be used as a fleet management tool as other devices can be monitored on the same web panel. 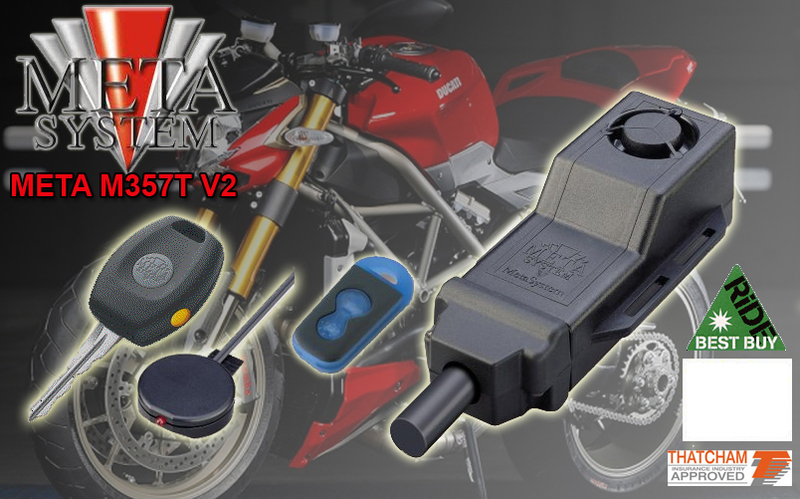 The Acutrac system has been designed specifically for the harsh environment that a motorcycle presents - it is small so can be hidden away in a variety of areas on a vehicle/asset; is fully sealed to protect it from the elements; is intelligent in that it conserves as well as monitors vehicle/asset battery power and automatically recharges its internal back-up battery; is simple to install and can also be transferred between vehicles/assets. Although designed primarily for motorcycles, Acutrac is perfectly suited to applications on other vehicles or assets such as caravans, trailers, plant, cars, commercials, quad bikes, agricultural vehicles and horse boxes.